RollerSlide is used for lying transfers between a bed and x-ray or operating tables, shower trolleys, ambulance stretchers (or similar transfers). RollerSlide consists of a flexible synthetic board and a slide cover that is made from our special ultra low friction (ULF) sliding material. It bridges gaps of 20 cm and can take a weight of 120 kilos. 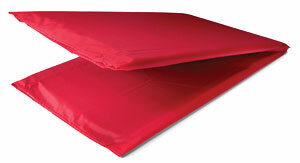 Disposable protective covers of environmentally friendly, degradable polyethylene are available for RollerSlide.